The Department for Education recognises that there are character traits, attributes and behaviours that underpin success in school and work, and it wishes for schools to promote and encourage these specifically. The government also recognises that character is already being encouraged, nurtured and developed alongside academic rigour in very diverse ways in different schools, and it does not prescribe how schools should work to develop character. 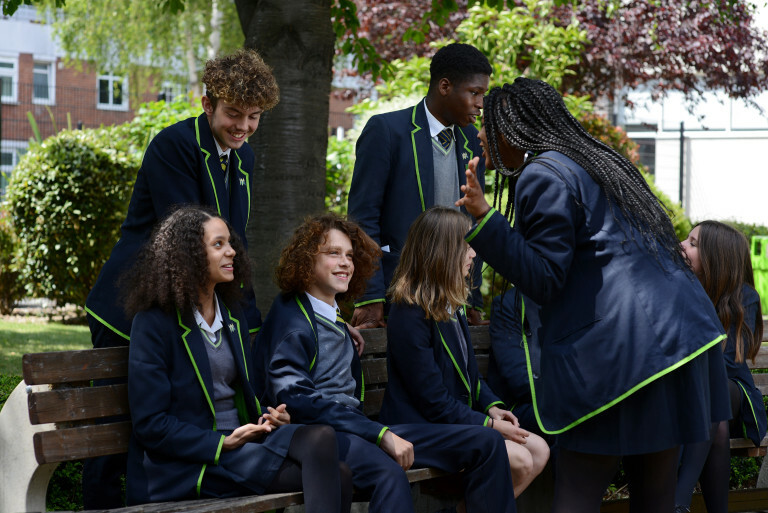 Character education can be found within a school’s ethos, in the classroom and on the playground, as much as it can be found on the sports field and outside school in the local community. At Haggerston these aspects of character are part of our mission and ethos. We also incorporate much of our character development work in ‘The Pledge’ to years 7 and 8, and the ‘Careers Pledge’ to year 9, in order to give children and young people more opportunity to learn about character, and their own personal development. Over the last four years Haggerston School partnered with City Year ( a leading youth and education charity). Each year we had a team of City Year corps members who worked in the school to support and enhance engagement of young people with education. Although this partnership does not exist this year, the effects of City Year’s work are still felt in the school; for the ethos and values of City Year closely aligned with Haggerston’s. 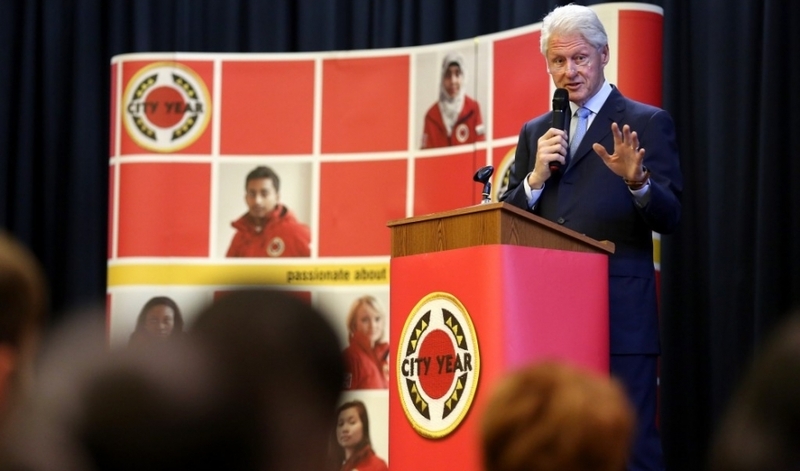 In 2015, we were honoured to host a visit from President Bill Clinton to Haggerston as part of City Year’s partnership with us.